Eleni Cecila Woods: Born, Nov. 24, 2017, 7lb,15oz. 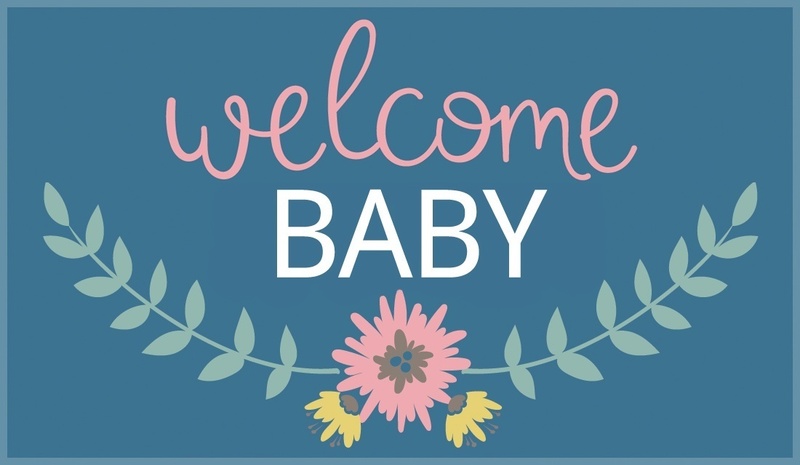 Congratulations to Katina and Tim Woods on the birth of their daughter, to Grandparents: Dr. Kiriakos and Eleni Pantazas, and Great-great-grand mother: Mary Pappas. The Misson of the Orthodox Church in America, the local autocephalous Orthodox Christian Church, is to be faithful in fulfilling the commandment of Christ to "Go into all the world and make disciples of nations, baptizing them in the name of the Father, and of the Son and of the Holy Spirit. . . ."
St. Raphael Orthodox Church is part of the Diocese of the South. Our Diocese spans 14 states and has over 100 faithful clergy and monastics serving in 78 parishes, missions, and three monastic communities. We invite you to come worship with us from Alburquerque, New Mexico to Wilmington, North Carolina! Please see our Parish Listings for more details and to find a parish near you, or click on a story above to see the latest news from from the Diocese! We would like to share with you some exciting news! Orthodox Web Solutions has developed a new free app for smartphones and tablets called: Orthodoxy in America. This app is much more than just a church locator, it also brings together news, social posts, daily audio, trending photos, as well as video and 360 tours from the various jurisdictions, agencies, seminaries, monasteries, and Orthodox media outlets, including: Ancient Faith, Orthodox Christian Network, Pravmir, Pemptousia, Pravoslavie.ru, Patristic Nectar, Sister Vassa, Y2AM, and others. This is the first app of its kind, and we are very pleased to be involved with the project. May it help inform, educate and inspire the faithful to live and share their Orthodox Faith! Holiness or sainthood is a gift (charisma) give by God to man, through the Holy spirit. Man's effort to become a participant in the life of divine holiness is indispensable, but sanctification itself is the work of the Holy trinity, especially through the sanctifying power of Jesus Christ, who was incarnate, suffered crucifiction, and rose from the dead, in order to lead us to the life of holiness, through the communion with the Holy Spirit.